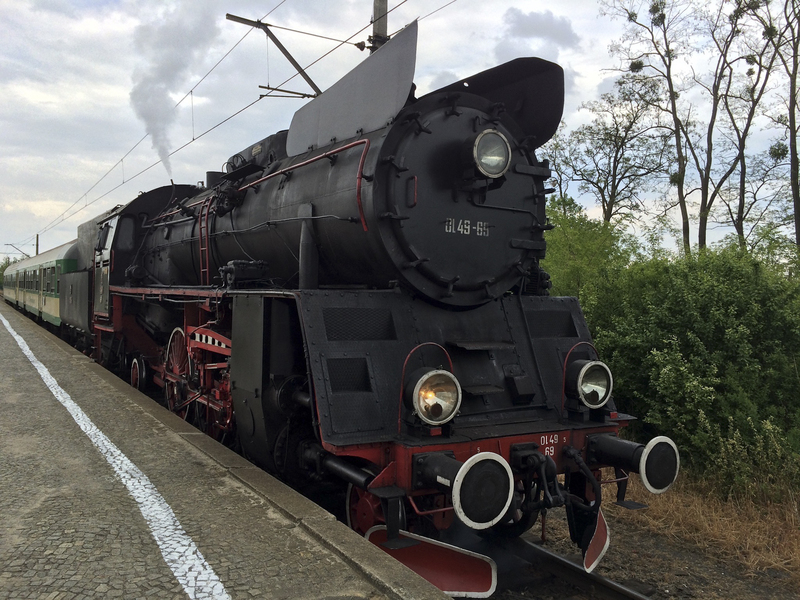 Standard-gauge steam services running on selected days around Wolsztyn are very much alive! I tested a few services on Thursday and Friday May 21 and 22, 2015. 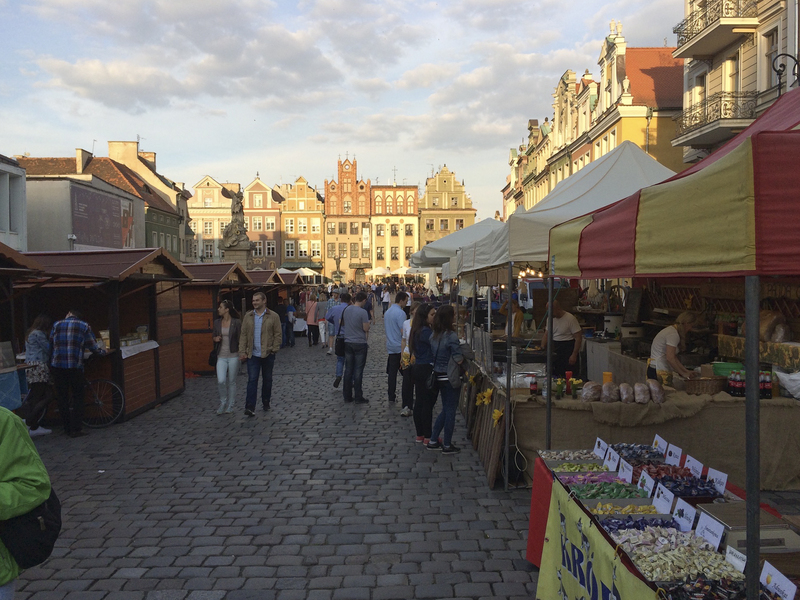 My short tour started in Poznan – a fine town with plenty to discover. I caught a local electric train to Zbaszynek in time to see the afternoon steam train from Wolsztyn arrive. A few days earlier a problem with a wheel bearing had required immediate repair, but thankfully all was now well with Ol49-69 that was to haul all the steam services. The steam journey to Wolsztyn started with a non-stop stretch to Zbaszyn, on the Berlin to Warsaw mainline. From there, and on all the lines radiating from Wolsztyn, the scenery is a mixture of small villages and forest landscapes; look out for deer and old-fashioned horse and cart farming! Wolsztyn is a small town, with for many visitors its principle attraction being the engine shed and several steam locomotives in various states of repair, but with plenty of fine local attractions to discover also worth exploring in its own right. Accommodation can be found easily. OL49-69 on arrival at Zbaszynek. Photo William Wright. The following day, three return services covered part of the main routes out of Wolsztyn, to Nowa Wies Mochy, Rakoniewice and Stefanowo. Each service is mentioned clearly on the printed station departure board timetables. Tickets can be bought on the trains. The services ran perfectly to time, key railway staff were ready to signal departures, operate level-crossing gates and set signals. My visit not being a weekend, passenger numbers were very low, but this is still early days. As reported in BTWT on 19 February 2015, the town of Wolsztyn, various other local authorities and the Wolsztyn Experience agreed to invest in a brand new tourist product – Woltur. This was set up by Patryk Szkopiec of IRPiK, the same organisation that runs Turkol, with the cooperation of PKP Cargo, responsible for the engine shed in Wolsztyn, and local train services operator, Przewozy Regionalne. Turkol continues to run longer-distance weekend steam specials. 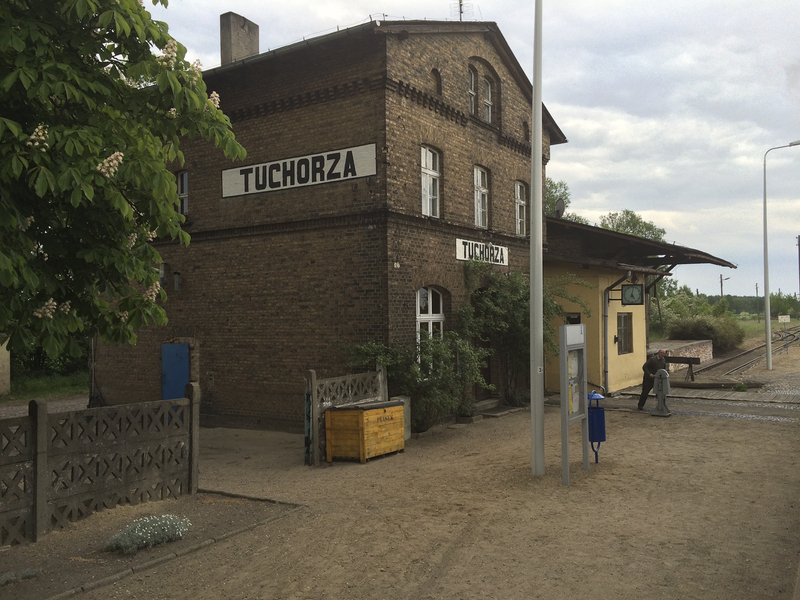 Frozen in time, Tuchorza station and station master. Photo William Wright. The overall impression is a perfectly run service authentically reproducing a sample of timetabled standard-gauge steam services. My recommendation? Go now whilst the services still exist! For those interested in a more hands-on experience see the Wolsztyn Experience website. This entry was posted on Tuesday, 21 July 2015 at 13:18 and is filed under Turkol, Wolsztyn, Woltur. You can follow any responses to this entry through the RSS 2.0 feed. You can leave a response, or trackback from your own site. I visited Wolsztyn in July and the scheduled Woltur services where running in time. Riding on the Wolsztyn-Lezno line behind a hard working locomotive can be highly recommended .